Tehran is the capital of Iran and one of the largest and most populous cities in the world, with a population of 14 million. Tehran has a temperate climate, as it is located at 35.41 north latitude and 51.15 east longitude and 1,200 meters above sea level , Which makes it a little cooler than other capitals in the Middle East. However, this does not prevent escaping Tehran’s hot summer and its cold winter for a nice. 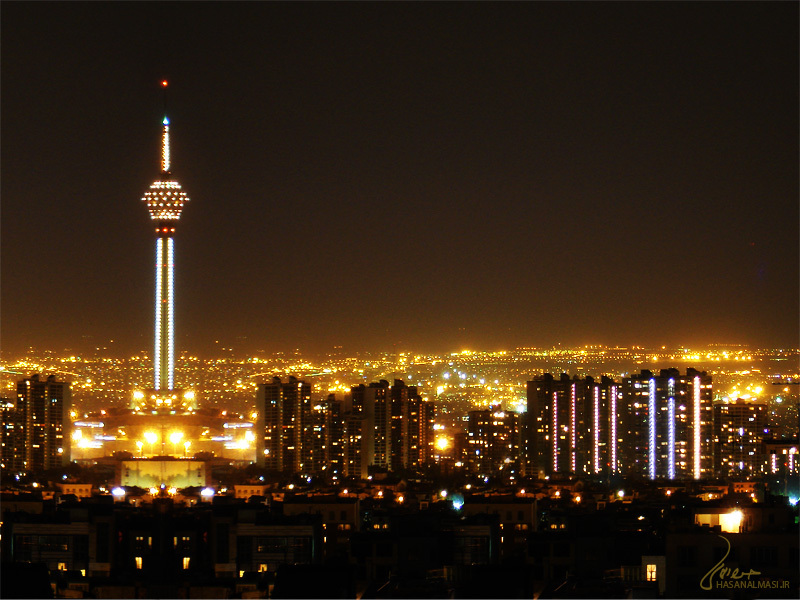 The best time to visit Tehran is late September to early November and mid-April to early June. Tehran has more than half of the country’s basic industries such as electrical, textile, automotive, cement, chemicals and other industries, as well as many theaters, schools, universities, parks and museums. The most important problems facing Tehran today are the suffocating traffic crises and high pollution in the atmosphere, resulting in respiratory problems for the Tehran’s people. In addition, Tehran is facing strong prospects for being hit by a violent earthquake due to the city’s location on the deepest seismic fault in the area south of the mountains Albarz. Despite the city’s lack of tunnels and bridges in some of the city’s traffic jams, Tehran has a modern network of streets and highways. A large network of underground trains and buses covers all parts of the city of Tehran, and there are 4 large complexes from which passenger buses travel to all Iranian cities and provinces. Tehran also has a train station that connects the capital to most Iranian cities.